Where Earth's atmosphere merges into outer space, there is a cloud of hydrogen atoms called the geocorona. 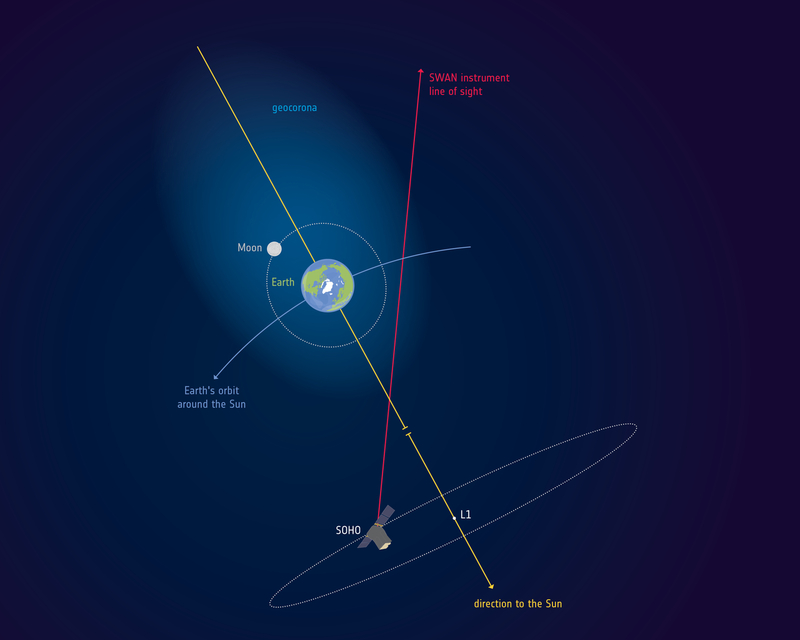 A recent discovery based on observations by the ESA/NASA Solar and Heliospheric Observatory, SOHO, shows that the geocorona extends well beyond the orbit of the Moon, reaching up to 630 000 km above Earth's surface, or 50 times the diameter of our planet. Note: the illustration is not to scale.